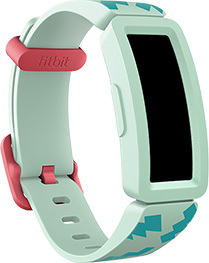 Build healthy habits and have fun as a family with the Fitbit Ace 2 activity tracker. 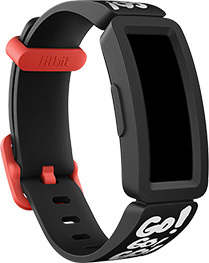 To the playground and beyond, kids need an activity tracker that’s as resilient as they are. Water resistance to 50M means kids can rock Ace 2 in the shower and the pool. Cannonball! 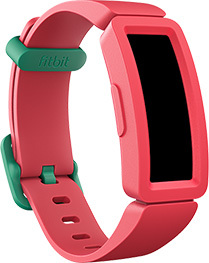 A comfortable band, easy-to-use touchscreen and adjustable clasp lets Ace 2 grow with kids. Every move adds up, so Ace 2 records steps and active minutes & comes with a handy timer and stopwatch. Kids make it their own by picking a clock face for Ace 2 and choosing their avatar and cover photos for the app. Animated clock faces require more frequent charging. There’s nothing more meaningful than creating a healthier life together. 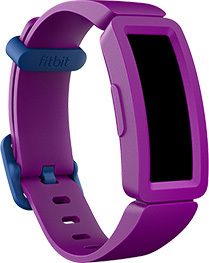 Fitbit Ace 2 gets the whole family moving in a way that’s rewarding and fun. Parents set up a family account and create child accounts accordingly. In Parent View, they can easily see kids’ activity and approve their connections. The family account and parental consent is required for children under 13 or any higher minimum age in your country. For kids’ safety, they’re only able to keep track of their stats and badges, choose favourite clock faces and avatars and connect with parent-approved friends. Ace 2 connects to 200+ Android, iOS & Windows 10 devices so the whole family can get fit together, even on different platforms. 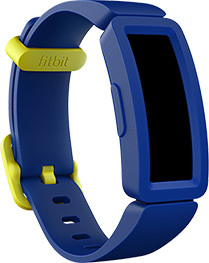 Fitbit Ace 2 makes it easy for kids to get moving. Because everyone needs a friendly nudge to stretch their legs sometimes. Kids stay excited about being active with fun goal celebrations that reward them for moving and grooving. Kids earn virtual badges and trophies with step challenges where they can try to beat their friends. Kids can set and get friendly reminders to move and stretch their legs if they’ve been sitting in one spot for too long. Use the Fitbit app to schedule bedtime reminders and silent alarms that easily wake kids with quiet buzzing on their wrists. Give the Ace 2 band an energising boost with patterns that let kids express themselves as they move and have fun. **Battery life varies with use and other factors; animated clock faces require more frequent charging. ⧫Call notifications available when phone is nearby.